A Dole Whip A Day: Imagineers: Build this in Disneyland! This picture has been going around lately, and, let's face it, it's brilliant. 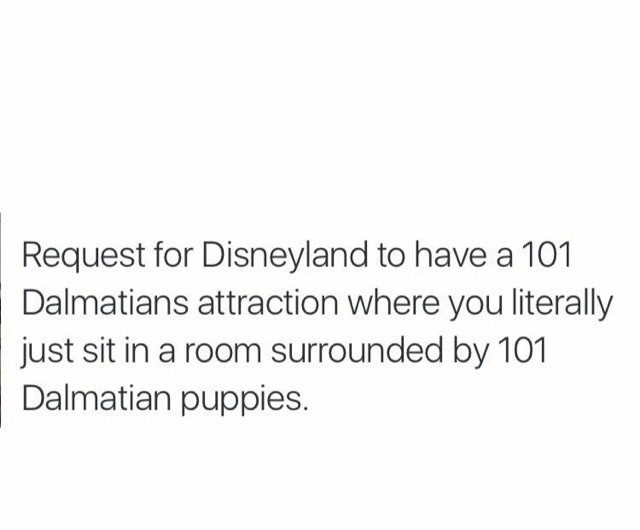 It got us thinking...what would we want to add to Disneyland? We came up with our Top Five attractions we'd love to see at the Happiest Place on Earth. What would you add to our list? 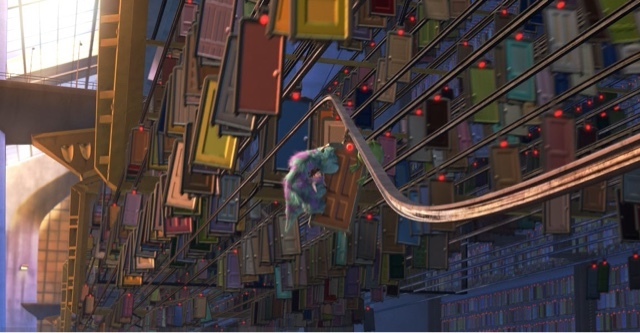 I've always thought the Closet Door scene in Monsters Inc would make an amazing ride. Now that I actually sit and think about, I think I have it figured out. It should be an indoor roller coaster, like Space Mountain, and every time you go through a door, you should enter a new and totally different bedroom. If the ride was done using screens and projections (like Hyperspace Mountain or basically any of the new rides in Shanghai), it could be different every time you ride and constantly updated, much like Star Tours. It'd be hard to top Radiator Springs Racers as a car racing ride, but the video game worlds in Wreck it Ralph are so detailed and immersive, they're just begging to be turned into a full attraction! 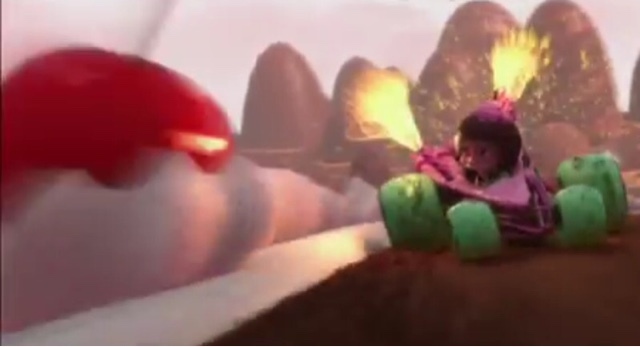 Wouldn't you want to see Vanellope Von Schweetz racing (and glitching) beside you in a world made of candy while Candlehead lights cherry bombs to make the track behind you explode??? Let's work on this! 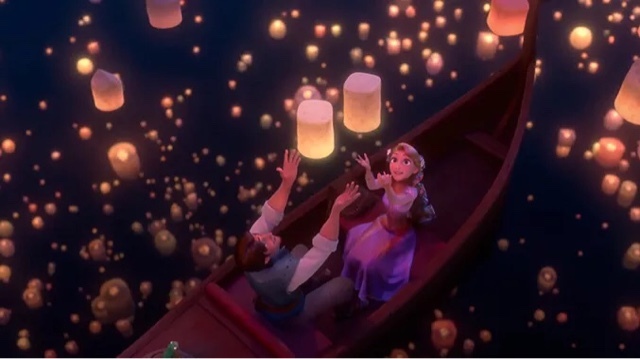 One of the most beautiful scenes in any Disney movie to date is when Repunzel and Flynn (do we call him Flynn or Eugene?) set off the floating lanterns on the Lost Princess' birthday. What if Disney could let guests send their own lanterns on the abandoned lake in Fantasyland that used to hold the motor boats? It would have to be very limited for space and time issues - after dark would look the best. But that could be an amazing attraction to participate in or just view while waiting for the parade to start! 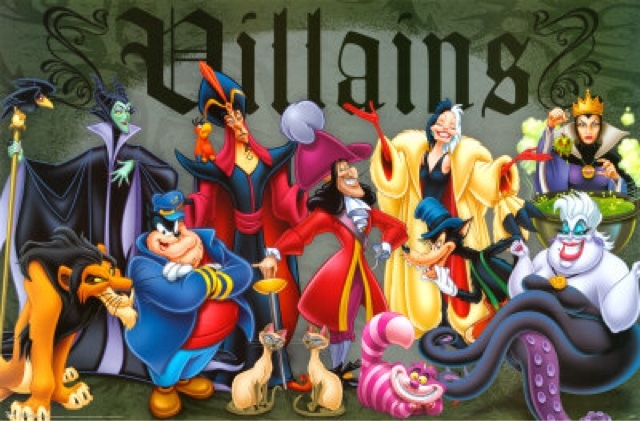 As fun as it is to see Mickey and all our favorite heroes during character meals, wouldn't it be a fun change to have a meal filled only with Villains? Snarky comments, evil glances, and Mickey pancakes. Could it get any better? 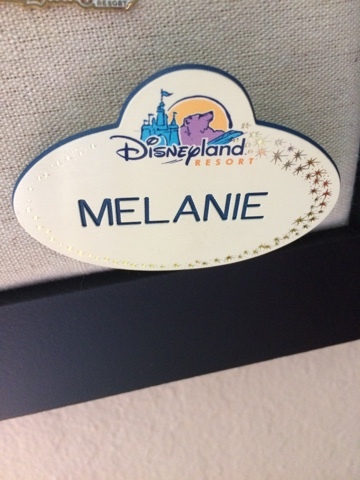 Ever wonder what it would be like to work at Disneyland? What if there were a tour that let you in on some of those secrects? You could get some Disneyland history, learn the "Disney Point" (NEVER point with only one finger! ), get a special name tag, try on Cast Member costumes, and answer questions for park guests! Who wouldn't want to do that for a day? ?